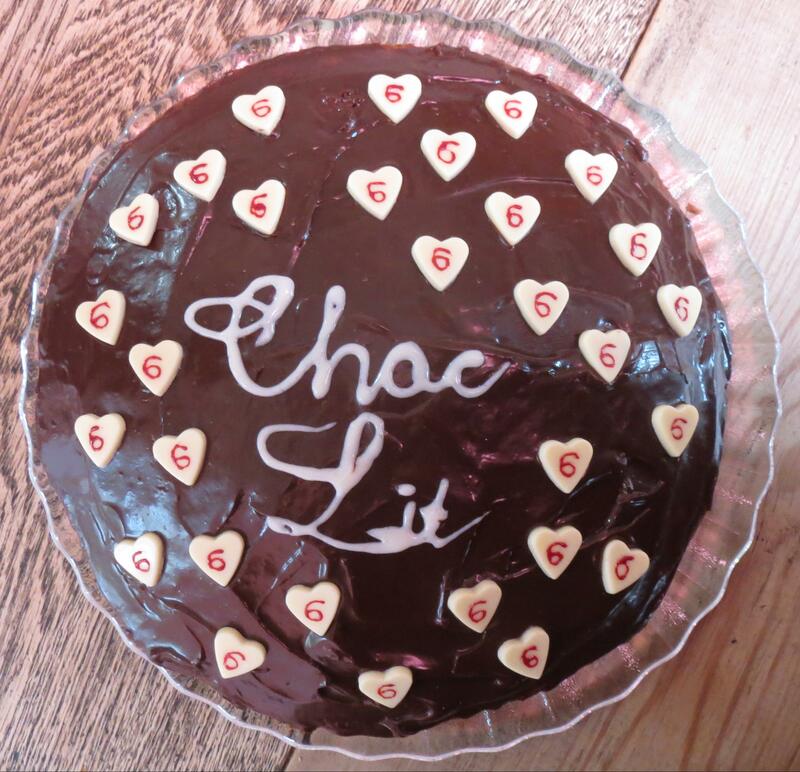 Today marks the sixth birthday of my publisher, Choc Lit, and we’re all celebrating. There’s a birthday round robin story to follow on Choc Lit’s blog and you can also join in by checking out #choclitparty on Twitter. To get readers to turn the page, keep asking questions and don’t answer them. This has become a favourite of mine. It’s courtesy of Lee Child, who gave the advice on Radio 4’s Book Club, and you can download the whole podcast here. As he says, people are hard-wired to seek those answers. Of course, it’s central to writing mysteries and suspense, but just as true for any genre. I can’t remember where I first heard this one, but I’ve found it really useful. If I leave off when I’m in mid-flow, I find it far easier to launch back in next time I write. This one’s courtesy of Elizabeth George, via her book, Write Away. She shares her own approach to planning and writing a novel, but is clear that this will vary from writer to writer. The important thing is to work out the method that holds good for you. That way you have something to fall back on if inspiration is low. I always map out roughly how long a project will take and plan an end date. Elizabeth George refers to the importance of ‘bum glue’ for writers, and without setting myself a target, I do find the days can slip by without me applying my bottom to my chair and my fingers to the keyboard. I promise myself a reward (usually food-based…) if I stick to my goal. I’ve come across lots of writers who recommend this. Certainly, I find it a useful shortcut. If I’m trying to cram writing in between other commitments, I might not instantly fall back into the mood I need to write a particular scene, but if I have a favourite song that conjures up the right atmosphere, that can really help.